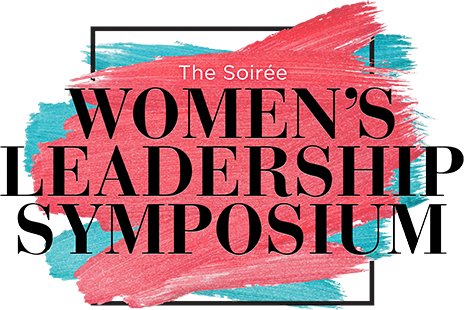 The Soirée Women’s Leadership Symposium gives attendees the chance to hear from and interact with a comprehensive list of speakers including industry experts, entrepreneurs, political leaders, C-suite executives and influencers focusing on women in the workplace. Carly Zakin and Danielle Weisberg, co-founders & co-CEO’s of theSkimm, will be the 2019 featured keynote speakers. Carly Zakin and Danielle Weisberg are co-founders and co-CEOs of theSkimm, a membership company that makes it easier for millions of millennial women to live smarter. In 2012, the two former NBC news producers launched theSkimm from their couch and today boast a loyal community of approximately 7 million Skimm’rs. By seamlessly integrating into the existing routines of their core demographic, Carly and Danielle have created a trusted brand that is fundamentally changing the way this audience consumes news and information. The company started with the Daily Skimm, the fastest growing email newsletter on the market with an engaged community of approximately seven million Daily Skimm subscribers, and has expanded to include theSkimm app, which debuted at #1 in news and #9 overall in the Apple App Store. Other offerings include Skimm Studies, Skimm Reads, Skimm Picks, and Skimm Notes. theSkimm’s production arm, Skimm Studios, develops and creates new and innovative video and audio content and original programming including a new podcast “Skimm’d from The Couch,” which reached #1 on Apple Podcasts within hours of launch, and video series including “Sip ‘n Skimm,”, “Skimm’d with…”, “Get Off The Couch”, among others. Expanding on the company’s mission, theSkimm launched No Excuses, a platform to mobilize and educate their highly-engaged audience. First introduced around the 2016 Presidential election, theSkimm registered more than 110,000 Americans to vote, and continues to tackle the issues driving the national conversation. Carly and Danielle have been featured on a number of prominent lists including: Forbes 30 Under 30 in Media, Vanity Fair’s The Next Establishment, Fortune’s 40 Under 40 and Adweek’s Young Influentials; and have received numerous accolades including the Goldman Sachs Builders and Innovators Summit as one of the most 100 Intriguing Entrepreneurs.